Take a break from the leak. 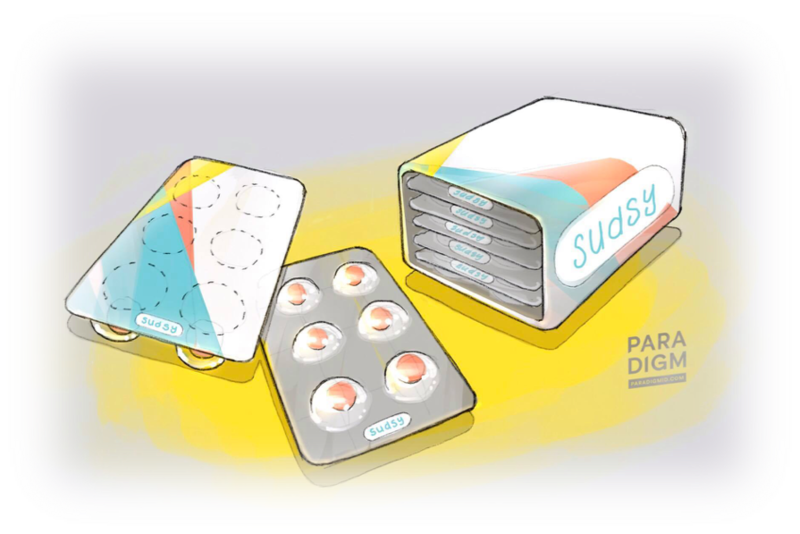 Sudsy Soaps are single-use dehydrated soap tablets that dissolve in 3 seconds under water when light pressure is applied. Our line of products include shampoo, conditioner, face wash, body wash, hand wash, and even toothpaste! For now, we are starting off with just body wash, and ease into the other products as we expand. We plan on launching the other lines in Spring 2019. Gone are the days you have to travel with those pesky 3.2oz bottles. Our premium products will form an excellent amount of lather, and will only take up a third of the space. Travelers will now be put to ease as their products no longer risk the chance of bursting onto their belongings with this TSA compliant product line. Saying goodbye to those pesky bottles. Our simple design removes the need for packing multiple bottles. Just grab a blister pack according to your days worth of travel, to keep packing easy, and worry-free. Traveling for one day or a whole month? Don’t worry, Sudsy’s got you covered.